This y-adapter enables the Completely Discreet Wireless Surveillance Kit, a unique Bluetooth solution for the most covert situations. For APX and XTS Mission Critical Wireless customers, this adapter ships with the Completely Discreet Wireless Surveillance Kit NNTN8434.&amp;nbsp;If you already have the Completely Discreet Earpiece Kit (RLN4922), you can order this adapter to enable a wireless connection to your radio, giving you the flexibility to conceal your operations more effectively by removing the radio from your belt or under you clothing. 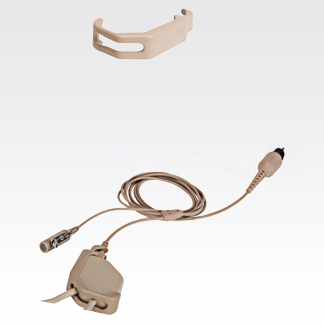 For MOTOTRBO Operations Critical Wireless customers, this adapter must be ordered with the Completely Discreet Earpiece Kit (RLN4922)&amp;nbsp;and the Operations Critical Wireless push-to-talk pod (NNTN8127).